The Extended Project Qualification provides an opportunity for students to extend their abilities beyond the A level syllabus, stand out and prepare for university or their future career. It can also be used to earn extra UCAS points. The creation of a teaching resource on coastal features for a Year 7 class. A short story aimed at a teenage audience on the Holocaust. An interview with Jane Austen. The eventual result is judged just as much on the ‘journey’ as the outcome – students have to log their research, analysis and evaluation and their ‘research diary’ forms a high proportion of the overall mark. Why is the EPQ such a good thing? It is an opportunity for students to develop an area of interest. It can produce something of a very high standard which goes beyond the constraints of the curriculum. There is a great deal of freedom in what candidates can actually produce – it doesn’t just have to be a written report/ long essay (although it can be). It constitutes half an A Level – so an A* is available. It allows students to develop skills of research, independent learning and presentation which may set them up nicely for university courses. The Presentation Evening will be similar to future experiences at university and beyond. It is something tangible for students to demonstrate an interest and research in a proposed university course which they are not studying at A Level. 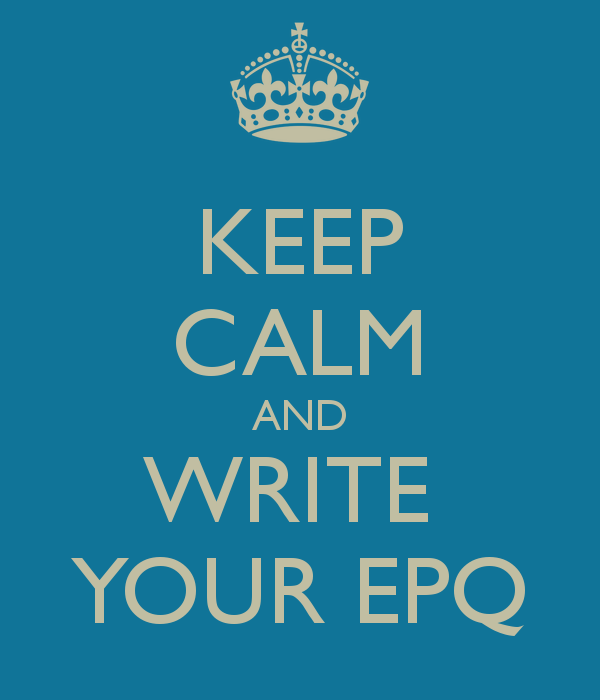 The EPQ is viewed positively and as something very different by universities.